Christopher and Jonathon Nolan, the writers of Interstellar, flipped the concept of "robot" on its head. So much so that Christopher didn't even like thinking of them as robots. He calls them "machines." To some, Tars and Case might seem a little weird. Other viewers loved them. 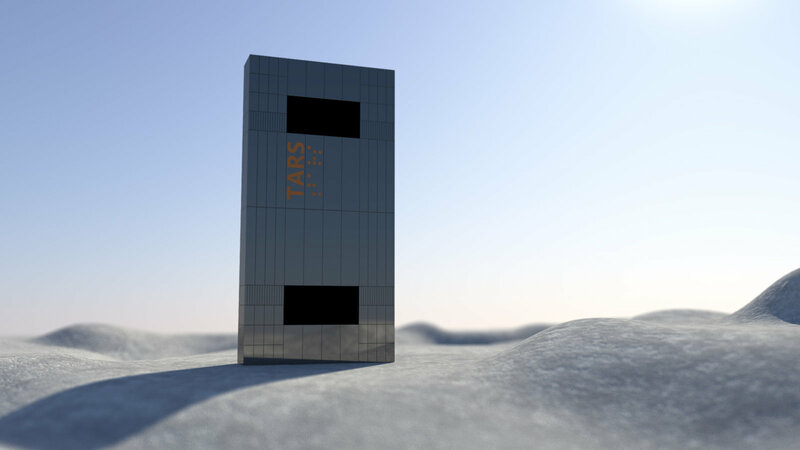 But here is the brilliance of Tars and Case: they are the exact inverse of our concept of a robot. In the behind-the-scenes clip on them (because of course, I had to watch all that stuff after I watched the movie), Christopher Nolan talks about how robots usually try to look like humans, or at least, like some specific creature or object. He didn't want to do that. 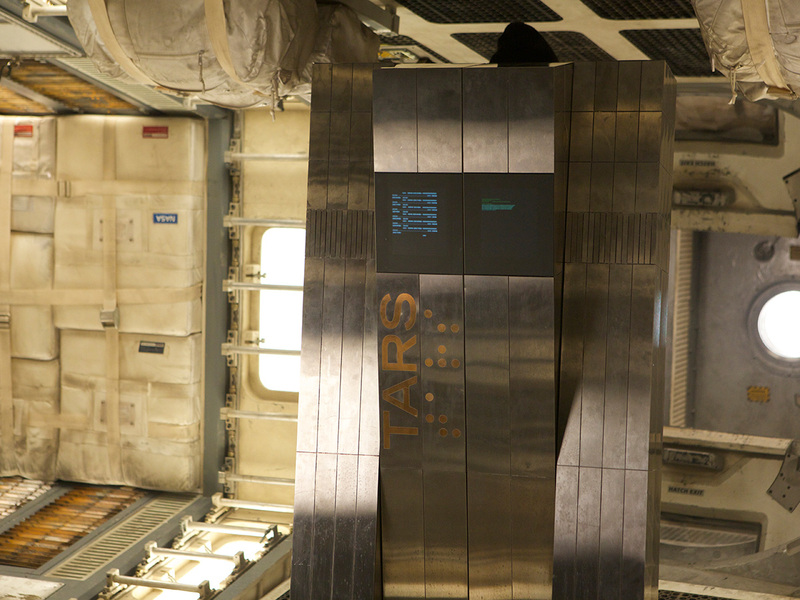 He wanted Tars and Case to "look like a thing." As I watched the movie, I remembered how most humor that comes from robots comes from how literal they take things. They usually lack "human-ness." Often they don't understand human emotion. That's where writers get humor out of robot characters. But the Nolans didn't do that. They wanted Tars and Case to have a human-ness inside them. They wanted it to come across like Cooper and these guys were buddies, so we get Cooper saying, "See you on the other side, Slick"--that nickname gives us the sense that they are pals. Christopher wanted Tars and Case to sound and feel human when talking. So for once we actually got robots that understood human emotion and had real humor--even to the point of making jokes off the fact they were robots. 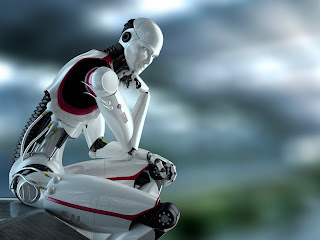 A typical robot character looks human on the outside, but struggles to understand human behaviors, thought processes, and emotions on the "inside." 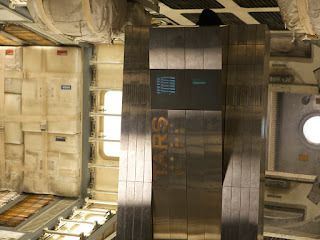 Tars and Case look inhuman on the outside, but appear to be quite human on the "inside." They are the inverse of the typical robot character. We still get that feeling of Tars and Case being "other" because of how inhuman they look. Christopher talks about how he, yes, wanted them to connect in human ways, but to visually look apart from humans, so they almost fit in with other humans, but never fully can. 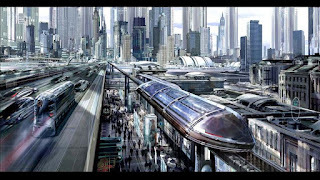 On my blog, I've also talked about how you can make a story feel new by mixing genres. Brandon Sanderson crossed epic fantasy with heist stories to create Mistborn. 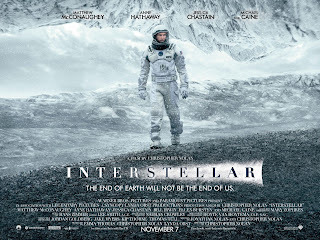 Interstellar mixed science-fiction with music typically associated with spirituality and religion. 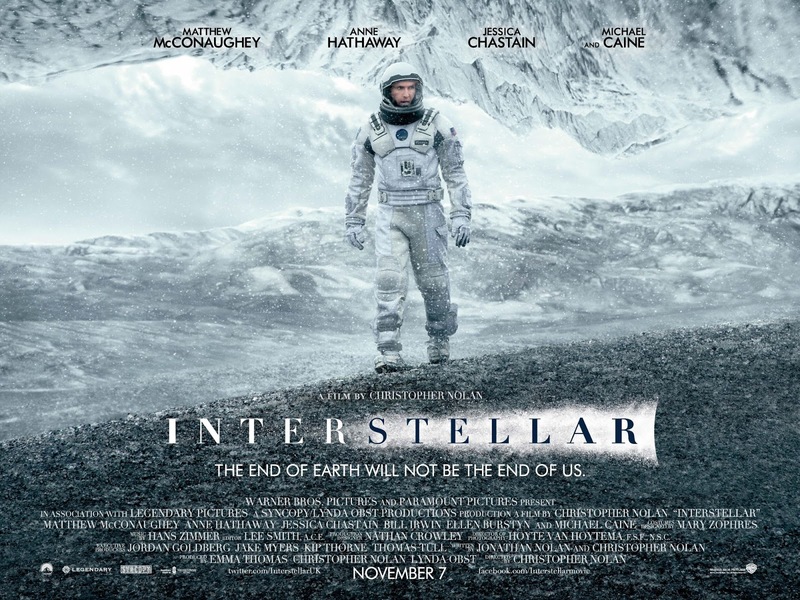 When considering the music for Interstellar, Christopher said he didn't want the composer, Hans Zimmer, to know the genre of the movie. Christopher didn't want it to sound all sci-fi-ish. He didn't want it to sound electronic and futuristic. So, he didn't tell Hans a thing about the movie. All he did was give Hans a few lines of dialogue between Cooper and Murph and asked Hans to compose for the day and see what he came up with. Hans came up with the main theme and worked off that, even after he knew it was a science-fiction space story. All through the behind-the-scenes stuff, Christopher was talking about how he wanted the movie to feel very human. So he and Hans tried to bring that in with the music. Everything was very focused on feeling and sounding very real. Not electronic. Not inhuman. 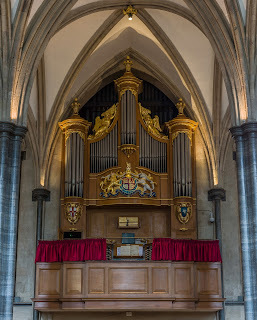 In particular, they brought the organ into it. They talked about how the organ had been used in movie scores, but only for horror, or for wedding scenes. They talked about how the organ is heavily associated with religion and spirituality--two things that are often absent in sci-fi films. Interstellar isn't religious, but Christopher wanted it to have a spiritual feel about it, so they worked with and played up the organ. 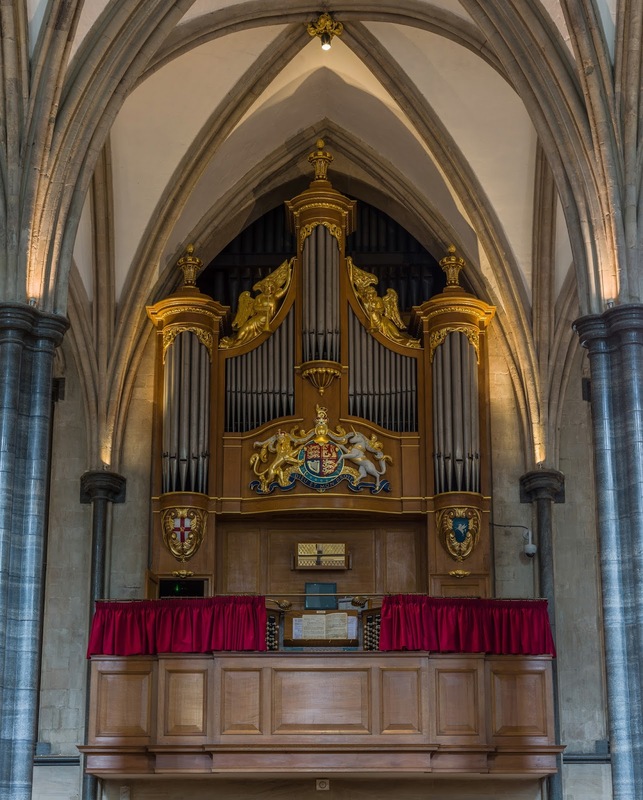 They took what was usually used in religion and crossed it with science-fiction and did with an organ what I've heard no movie score, and frankly, no organ ever do. It felt fresh. It felt original. It was original. It was cool. So the sci-fi genre, to me when it comes to movies, usually capitalizes on the futuristic and otherworldly aspects and sounds, but Christopher and Hans meshed it with its exact opposite: human sounds. And it was awesome. Obviously if you're a writer and reading this, your story probably doesn't have its own score, but the principle remains the same. To make your story fresh, or different, or possibly even more powerful, look at borrowing aspects of other genres. Now, you have to be careful. You don't want to mix your story in such a way that it doesn't really fit into any genre. At least, you need to be careful of that if you want to sell your story. If you're just writing entirely for yourself, do what you want. You can look at doing that in your stories too. 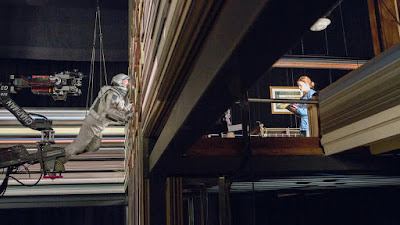 One of the first things Christopher Nolan said when he started working on Interstellar was that he didn't want to focus on creating a futuristic world. Considering it's a science-fiction story, set in the future. But by breaking this "rule" (if you want to call it that. Can't think of a better term) he made Interstellar more relateable to us, more human. The story wasn't something that felt far away, it felt close. Again, it makes the movie feel more human and less otherworldly, which still seems kind of ironic because one of the primary draws of futuristic stories is that they take us to a world (usually) more advanced than ours, so we get that escapism paired with that sense of wonder. He did a similar thing with the apocalyptic aspect. He didn't create this horrific nightmarish world of catastrophe that we usually see in Hollywood. 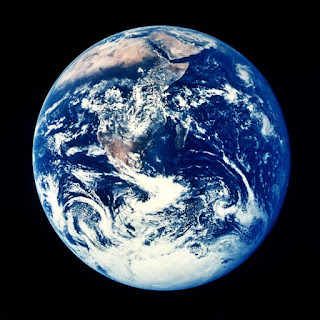 Instead he wanted to create an Earth that was still beautiful, one that people would love to live on. He did this so it would seem more difficult to leave Earth. It's a beautiful home, and it's sad to have to leave it, as opposed to an apocalyptic world that people yearn to escape. He broke the common perception of an apocalypse. So breaking preconceived notions can be a great way to flip a story. But again, it takes wisdom and talent. If you break them by giving the audience something less than they expect, they might be disappointed. It's okay to break expectations if you are doing it the right way and for the right reasons. It's all about control. 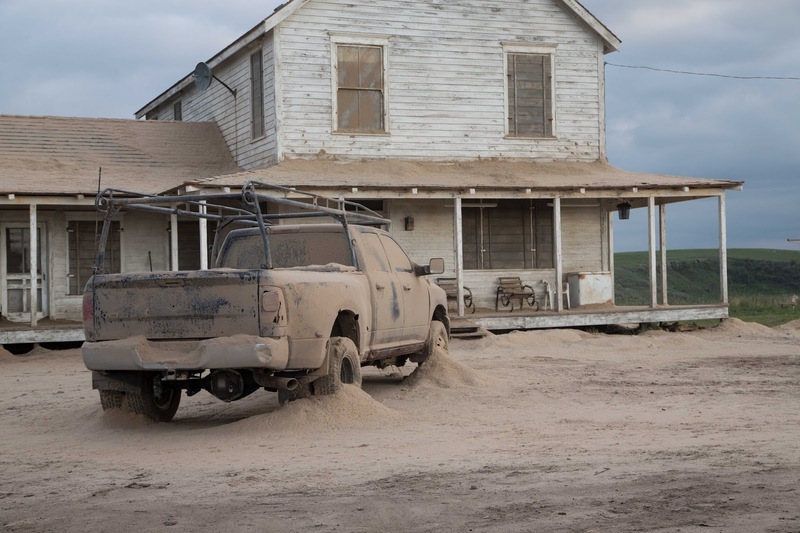 For the Nolans, they decided that their story gained more power by making it a tragedy to leave Earth, rather than focusing on the horror of living on it. They also opted for relateability rather than wonder. There are some crazy, killer reasons for why doing both these things actually made the story way more powerful, which I'll talk about next week. But I'll say this: space provided the horror and real wonder for the movie. And there's a reason why Earth didn't. 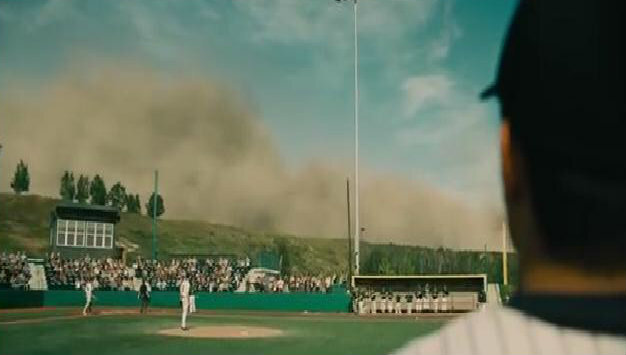 Honestly though, wasn't the very choice of apocalyptic disaster freaking refreshing? 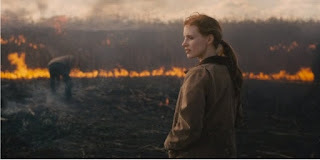 I swear, almost every post-earth movie that has come out the last ten years has had to do with either global warming or how humans have destroyed the environment and have depleted Earth (or both). I get why those have been the focus lately, but it's so cliche I want to scratch out my ears every time a story talks about it. Seriously, can writers find no other alternative to humans having to leave Earth? Given, if you use that cliche, you don't have to do much explaining because everyone is familiar with it, so you can just move on to your story. But the Nolans gave us this beautiful break from that sermon. Hallelujah! The method of apocalypse? Not crazy storms or tornadoes or heat or an asteroid. It was the blight, and it was the dust. The dust bowl was a real disaster in the 1930s--why the heck hasn't anyone ever used that as method of an apocalypse before? It's so refreshing! And all the Nolans had to do to get there was push beyond cliches, to press through all that redundant stuff that clutters the forefront of our minds, and do some research and find something that hadn't been done in the last few decades. As writers, cliches are always the first things that come to mind. Of course they are. We've heard them so many times that the moment we realize we need a reason for humans having to leave Earth, we automatically think of Earth being ruined because of the humans. And then we think about that same cliche in five different ways, because we've seen it done five different times. We need to push beyond the first half-dozen ideas that we think of--because they've all been done before. Stretch your brainstorming to find something fresh. The last six months or so, I've talked a lot about pairing opposites, but that's because it's so dang effective, and writers should take advantage of that, on a small scale and a large scale. Pairing opposites gives us complexity, breeds originality, and makes a story more powerful. Here is a small-scale example of how pairing opposites can be effective. For the farm in Interstellar, Christopher looked at some places in Canada where they could build it. He wanted to get the scenery right. So he found this beautiful piece of land up north. And then he planted corn on it. To the average person, this doesn't seem like a big deal. But here's the thing. Corn doesn't grow in places like that. The scenery and the crop are opposites. They don't belong together, and he smashed them together (and had to work on getting the corn to actually grow there). Visually, it gives us something new. We haven't seen a farm like this before. 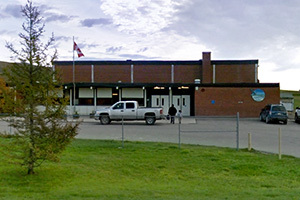 It's a small-scale example. It's a "micro-concept." But it tells us a lot. Cooper is trying to grow corn in a place that doesn't let corn grow. It give us that subtle, almost subliminal, feeling that the world is dying. 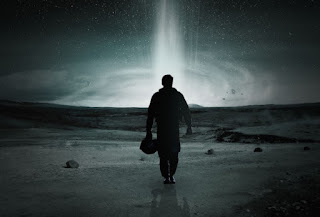 But then, Interstellar also paired opposites on the large-scale, in the storyline itself. 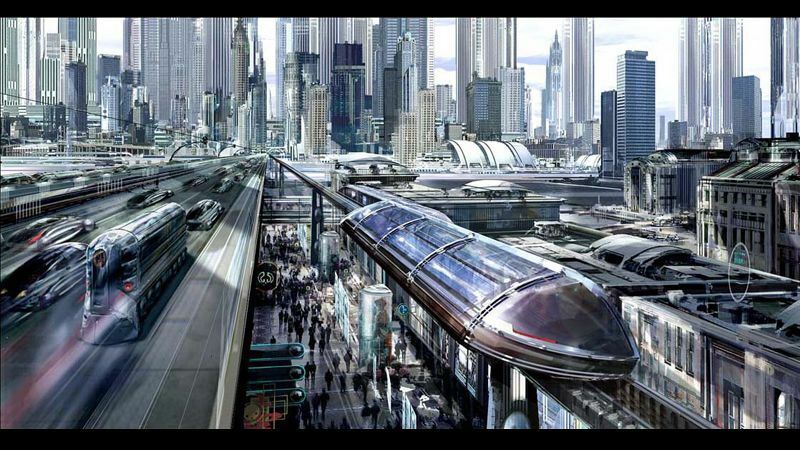 We have the grandeur of space crossed with small farm/town life. Seriously, can you get any place bigger, more vast, more unknowable than space? Can you get a place much more intimate and personal than a farm out in the north by itself? And then we have the focus of the story. The survival of the whole human race crosses with this single, human relationship between father and daughter. Throughout the entire movie, the vast and grand is paired with the intimate and personal until at the climax they literally cross paths, they intercept, over time and space. The most grand and unknowable place in space is basically, almost literally the same as the most personal and intimate place. The fact is, it's the very breadth, the width that pairing opposites creates, that makes us feel stronger, sharper, more potent emotions. It sounds like it should be the opposite, that we should focus on one thing, because we think the more we focus on it, the more there is of it, so the more powerful it is, but it's not. 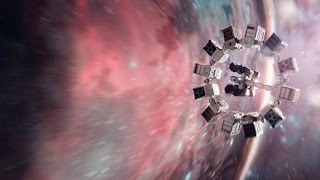 The Nolans said they wanted Interstellar to really evoke a sense of wonder about space, to make the audience curious and captivated by space. A young writer who approaches this goal might try to do that by spending more time in space, capturing the beauty and mysticism of it. They may focus the whole script entirely on that. But clever writers will recognize they need to pair space with its opposite. In addition to wanting the movie to evoke wonder over the heavens, they'll want it to feel personal and intimate--they'll want it to feel human. The bigger the contrast, the more powerful and sharper the story hits us. It's that foil. Taking the audience from one end of the spectrum to the other makes it emotionally sharp. The further we travel between extremes, the deeper we'll be touched. But I have so much more to say about it, that I'll talk in depth about it next time and explain how all of this works together to create a powerful effect on the audience. Great post 👍🏽 Never really thought about the invert concepts. Really interesting, have me another excuse to watch the movie again!